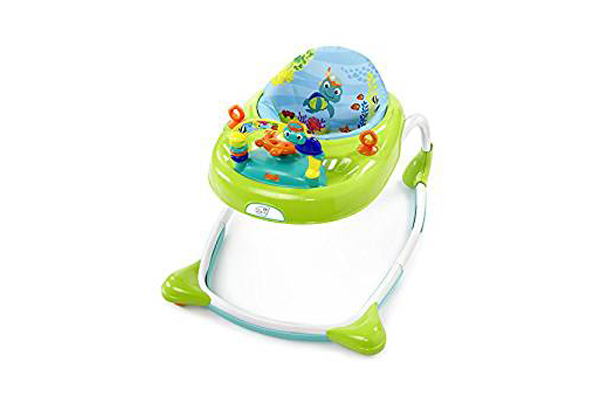 The Baby Walker provides sturdy support for little ones on the go As baby moves from crawling to taking first steps, the durable elliptical frame provides the sturdy platform baby needs. When ready to play, it lends a hand with plenty of fun activities in the toy station. 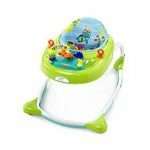 With loops for baby’s favorite toys and a steering wheel that activates lights and ocean sounds, little ones are happily entertained. 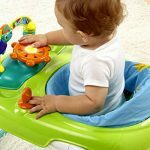 When the toy station is removed, the built in tray lets baby play with other toys or enjoy a quick snack. The high back seat provides extra support for baby and wipes clean to remain stain free. 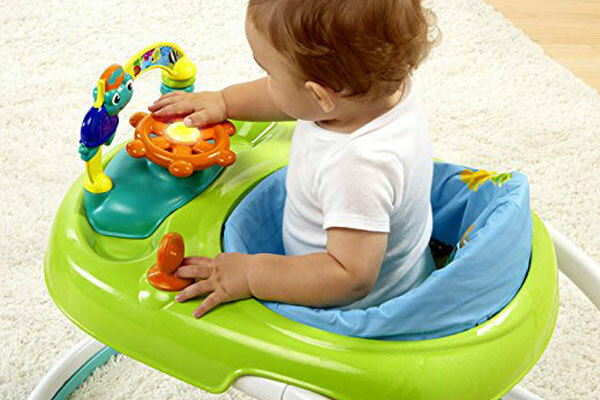 Walker adjusts in height as babies grow and explore the world around them.